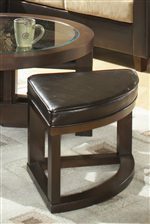 Great for casual dining in a small space, this counter height table set features four faux leather stools that are wedge shaped to fit neatly beneath the round table top. 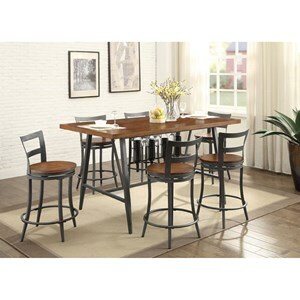 The clear glass top 40-inch diameter table features a clean look with its single pedestal base. 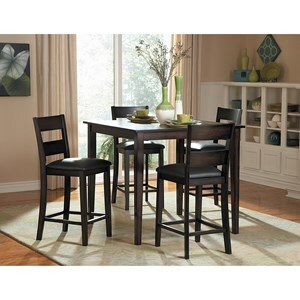 Functional and stylish this table set makes a great place to entertain and dine. 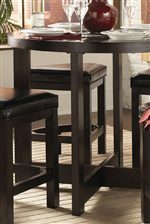 The 3219 5Pc Counter Height Dining Set by Homelegance at Beck's Furniture in the Sacramento, Rancho Cordova, Roseville, California area. Product availability may vary. Contact us for the most current availability on this product.